Hi, I’m Todd Hooper, CEO of Zipline Games, creator of the Moai game development platform. Please tell us a little about your background and what brought you from Australia to the States. I grew up in Australia, and one of my first entrepreneurial ideas as a teenager was game development, so I have always been passionate about games. Most of my career I worked in enterprise startups, and I moved to the US in 1998. If you want to build a technology company, you can’t beat living in the US. You’re located in the Seattle area. Wouldn’t be better to be in the Silicon Valley near the software industry? I really like Seattle and it’s a great alternative to the Bay Area. Seattle is one of the top gaming hubs in the US. We have world-class companies like Popcap, Valve, Nintendo, Bungie, Microsoft and many more in the area, plus trade schools like Digipen. It’s also easier to build a game company here in the Bay Area, where there is a lot of competition for talent. And if you need to get to the Bay Area, it’s only a 90 minute flight away. What are your thoughts on the mobile developing scene for iOS & Android? I’m very excited about the mobile gaming market. It’s a vibrant space and the incredible amount of energy around mobile gaming is like nothing I have ever seen before. It’s even more impressive when you think that only 20% of cell phones worldwide are smartphones, so we are only seeing the very tip of the mobile iceberg. Smartphones have shown a generation of people who never thought of themselves as gamers that they can enjoy mobile games. Both iOS and Android are incredibly strong platforms. 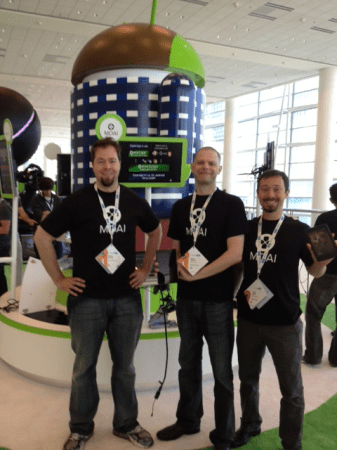 Google invited us to show Moai at Google I/O last week, and I’m very impressed with where Android is going. I used to work at Apple and I’ve always had an appreciation for their great products as well. And of course Amazon is now a credible third platform in the market with Kindle. All of this focus on smartphones and tablets is great for us, for the industry and especially for consumers. How old is ZipLine Games? It seems it just has a year of existence (by LinkedIn) What do you have in mind for Moai? Zipline got started in 2010 when my cofounder Patrick Meehan and I were introduced by a local CEO, but the history of Moai goes back before Zipline. 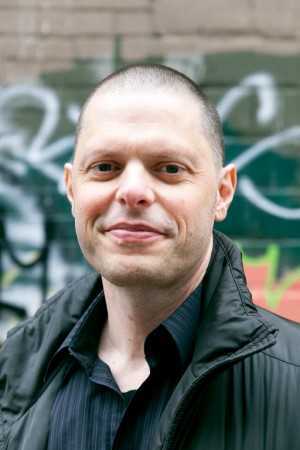 Patrick started his career at Nintendo and has been doing game development for nearly twenty years. At a previous company, he managed a team which created a top 5 iOS and Android app, and was frustrated with the limited tools available. So Patrick started working on what is now the Moai SDK, with a vision of making game teams more effective by leveraging a common framework and a cloud platform that takes care of scaling and operating the games. We knew we really had something with Moai early in 2011 when Jordan Weisman’s team started building Crimson Steam Pirates for Bungie! We see Moai as a game development platform that makes it easier for studios and publishers to create and operate mobile games. The Moai SDK as you know is a Lua based game framework that enables studios to rapidly iterate and build fun, performant mobile games. The Moai Cloud is our platform for building the back-end of games, and hosting all of the game logic, content and other services that is needed to operate a modern mobile game. Moai Cloud is also programmed in Lua, so the same team building the game can create a scalable service that won’t fall over when your game goes global. If you take our game Wolf Toss as an example, it may seem like just a simple physics game, but there are a raft of online services sitting in the Moai Cloud that power almost every action, and are built to withstand a tidal wave of game traffic. We use Moai Cloud for player rewards, coin tracking, ads, push notifications, downloadable content and the in-game store, amongst other things. Companies like Apsalar, Tapjoy and Crittercism work with Moai to provide analytics, monetization and distribution and crash reporting so you can ensure your game is successful and profitable. You don’t need to use Moai SDK and Moai Cloud together – they are quite separate. Some Moai Cloud developers choose to use front end tools like Unreal or Unity for 3d titles or they prefer to get started with Corona. Moai is designed so you a developer can use the pieces of the platform that they need. That’s very easy – the first Moai game Patrick developed was released in Easter 2010, and the thought process on the name went from Easter game to Easter Island to Moai! Selling Moai as ‘The mobile platform for pro game developers’ doesn’t seem very appealing for newcomers or maybe even hobbist developers who need a really fast tool as their time is limited. We have seen RapaNui but it looks like it still needs a lot of work to be a complete solution. Do you think Moai should be expanded to reach a wider audience? Are you making steps into that? As we mention in our slogan, Moai is clearly targeted at professional game developers. If you look at the high profile Moai studios like Jordan Weisman (Harebrained Schemes), Tim Schafer (Double Fine), Berkeley Malagon (Distinctdev) and others, many of them came from the console and PC gaming worlds, or they already had successful mobile games before they adopted Moai. We don’t really target Moai at beginners or hobbyists. We state that very clearly in our slogan and also our FAQ so as not to mislead people. I think it’s great to encourage hobbyists to explore games, but it’s not possible to build a product that truly meets the needs of both hobbyists and professionals, and the background of the team here is professional game development. As Moai SDK is open source, it’s easy for professional developers to simply look at the source code when they have questions about many items, which a hobbyist is unlikely to do. We think it’s not very common that a software company develops game apps too. Why did you chose that? Maybe it’s a way to show the power of the platform you created? Have you thought in releasing your game’s code as an OpenSource example for people willing to adopt Moai? We think many of the most successful gaming companies also develop technology and platforms. Some examples would be Valve, Epic and ngmoco, who have game platforms, game engines as well as great games. The feedback we got from game developers as we got started at Zipline is that it’s very important for Moai that we keep creating games. And Moai is much better because Zipline develops our own titles – a game like Wolf Toss with millions of players means that we are constantly building new features that are just what game developers need, and if our code has bugs we will find out about it very quickly! By the roadmap description (http://getmoai.com/blog/moai-2012-roadmap.html), it seems like 3d support for Moai is being delayed, can you give us some insights and maybe when you plan to have full support for it? 3D has not been a major focus for Moai SDK because most of the top mobile games are 2D and 2.5D, and there are already great developers building 3D games with Unreal and Unity on Moai Cloud. With the success of Shadowrun Returns we will be adding additional 3D functions but it’s important for Moai to remain focused on what developers are asking for, rather than just adding features for the sake of it. Why Moai is OpenSource? What real benefits does that give to you or your customers? Aren’t you afraid of it becoming fractioned and forked into too many just-suitable-for-one-kind-of-app projects without a common guideline? 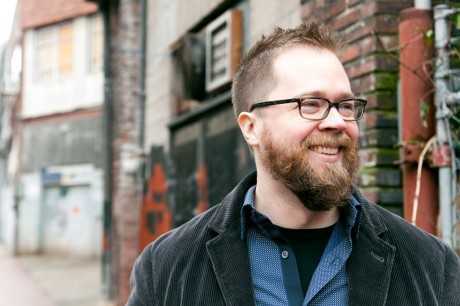 Access to the source code is a huge advantage for a professional game developer. Most large game studios rely on source code access for development of their titles. That’s one of the main drivers for Moai SDK having an open source license, and it’s been a big benefit to us. I’ve been involved with several successful open source startups, so I see open source as a strategic advantage when used correctly. It’s great to see all of the incredible contributions Moai is receiving from some of the top game developers in the industry, which is far more than any single company could put together. Forking the Moai code base hasn’t been a big issue for us at this point. The beauty of a site like Github is that forking doesn’t become a problem. Have you ever considered HTML5 as a serious option to develop multiplatform games? I’m skeptical of the ability of HTML5 to offer much to mobile game developers, unless you are talking about the very simplest of mobile games. There was a lot of hype about mobiles games and HTML5 last year but it seems to have died down with a number of large companies like Wooga deciding not to pursue the technology. I still haven’t seen a decent HTML5 mobile game and perhaps I never will. We are interested in knowing about Carlos Icaza, by his tweets it could seem that you are close to him since he left Ansca, since how long do you know him and how was when you first met? Carlos and I met recently in San Francisco, and we really hit it off. I have a lot of respect for what Carlos and Walter created with Corona, which is an excellent product that meets the needs of many developers. We don’t see Corona as competition for Moai, and we welcome Lua developers who have created games with Corona or Gideros to build on Moai Cloud. It looks that Robert Nay, from Nay Games (http://www.naygames.com) and creator of the big hit ‘Bubble Ball’ is using Moai, can you tell us something about that? Robert built his hit game Bubble Ball with Corona and wanted a way to edit and distribute custom levels. We worked with Robert to build that in Moai Cloud. It’s a great example of how a Corona developer can use Moai. Having ‘Double Fine Adventure’ by Tim Schafer being developed with Moai and getting a Guiness Record on crowdfunding, have you thought in using crowdfounding for some project in a near future? It’s very impressive to see what new Moai games like Double Fine Adventure and Shadowrun Returns are doing with crowdfunding, and it opens up great new opportunities for game developers and studios. We’ve talked about crowdfunding but haven’t decided to pursue anything yet. As the last question, do you know Spain? Have you been here? I have not been to Spain, but I would love to visit! Entrevista a Bruno Leveque, co-fundador y CEO de Prestashop Inc.